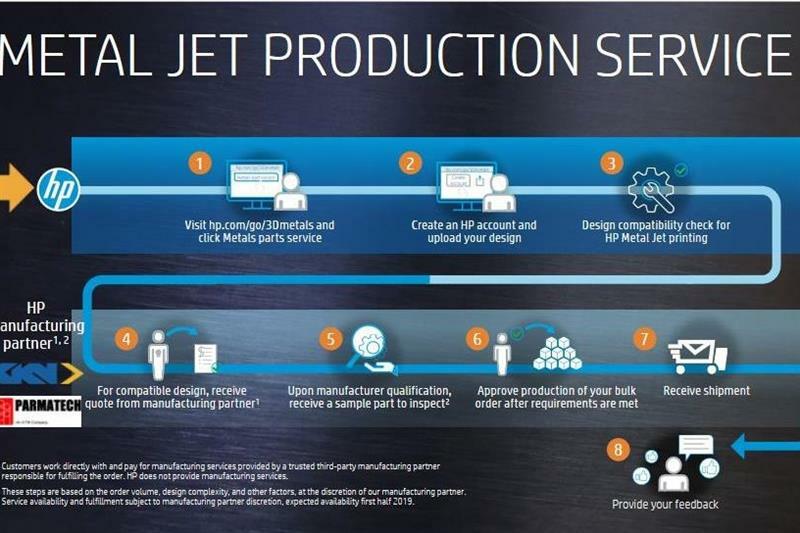 High volume manufacturing in the automotive, industrial goods and medical sectors can now benefit from additive manufacturing, following HP Inc's unveiling of its Metal Jet technology today. At Chicago's International Manufacturing Technology Show (IMTS) that opened today, HP Inc revealed metal additive manufacturing technology that makes the competitive manufacture of batches of tens of thousands of metal parts possible via powder-based additive manufacturing. Some 40+ customer examples were displayed at the show. Initially supporting stainless steel 316L parts, it is a development of so-called binder jet technology – metal powder 'glued' together to form green parts that then go on to be sintered in a standard furnace. But, crucially, it is 50x more productive than existing binder jet or laser melting additive processes, the company says. For low weight parts that require tooling to produce them via metal injection moulding (MIM) in volumes of 100,000, Metal Jet is said to break even at 55,000 parts for an automotive roller finger follower, while for a medical tissue grasper that point is 65,000. Resulting components have equal strength in all directions (isotropic), are above 99.5% dense and, being made from standard, multi-source ASTM powders, have mechanical properties that “fulfil all the requirements of ASTM and ISO standards” and, indeed, “exceed industry standards”. Production parts are already being made by companies that include: GKN, Parmatech, Johnson & Johnson, OKAY Industries, Wilo and Volkswagen. GKN is the world's largest producer of metal sintered parts for the automotive and heavy industry sectors, making 13 million parts/day using 321,000 tonnes of powder; Parmatech is a leading metal injection moulding firm with decades of history in this area, focusing on medical/healthcare parts' production; Johnson & Johnson and OKAY, Industries are medical companies;Wilo is a Germany-headquartered pump manufacturer; and global automotive giant VW needs no introduction. Metal Jet machines, which currently have a build volume of 430 by 320 by 200 mm, will not be generally available until 2021, with limited availability occurring in 2020, although the acquisition cost has been stated as being $399,000, because that is what is required to support the economics of the process. Current build speeds are not being quoted, but the target is hours, says Dr Tim Weber, HP's global head of 3D metals. This is followed by a curing phase, then by sintering in a furnace. The initial push is being made via a service that will be operated starting immediately, offered through GKN, via a German base, and Parmatech, via a base in the USA. It will be fronted with a web service that will undertake initial qualification of uploaded parts, as regards their suitability for production via Metal Jet, with commercial matters then falling to either GKN or Parmatech. 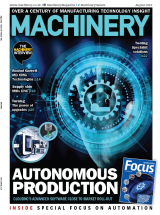 Read the full story in Machinery's October issue.